If you have been couponing and enjoying discounts for decades, you may not see the need to change your strategy. The process seems simple, you choose and clip coupons, buy the products you need and save. However, you can multiply your savings if you fine-tune your couponing strategy. Whether you are new or old in the game, these tips will help you save a lot more when shopping. The key to multiplying your savings is to get as many coupons as you can at your fingertips. Ensure that you are signing up for genuine sites. Sites like ecouponshub.com for instance have a wide variety of coupons for all categories. Many sites allow users to sign up at no cost and access thousands of printable coupons. You can upgrade your membership at a fee to access coupons for specific brands. You can enjoy great deals with coupons, but you must be careful when redeeming them. If a deal seems too good to be true, it is probably false. You are either buying an overpriced item or a low-quality product. Settle for reasonable deals as long as you are saving on the average price. 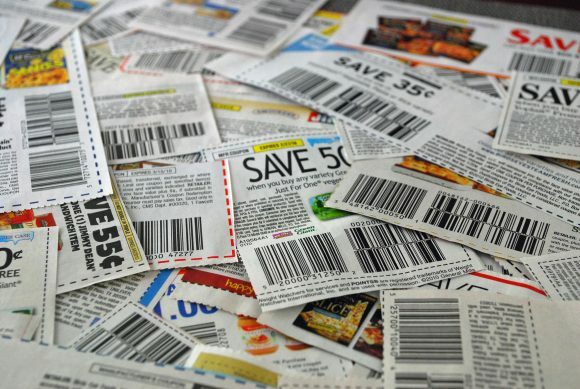 Your efforts to collect coupons will only pay off if you actually use the coupons when shopping. Organize your coupons in such a way that it is easy to access a coupon when you need to use it. You can organize your coupons with the expiry date or with the categories. Whichever method you use should help you take advantage of all discounts before the coupons expire. Do not buy items that you do not need just because of the discounts. You will have used all the money you saved on other items to buy something you will not use. Avoid impulse buying by creating a shopping list beforehand, especially when shopping online. Search for coupons in the same categories as the items on your list. When you adopt this mindset, you will be motivated to collect more coupons. You will remember to carry the coupons to the store or check your saved coupons when shopping online. Check your coupons regularly as you check your card or bank account balance. You need to keep track of new discounts to multiply your savings. However, identifying new coupons should not take all day. You may spend hours looking for a coupon before shopping only to save two or three dollars. Know when to stop searching for discounts. In addition, utilize the search buttons on coupons sites to help you identify relevant discounts fast. You should enjoy shopping with coupons. If the process proves tedious or stressful, you need to change your strategy. Identify and implement an efficient method of accessing and organizing new coupons. In addition, utilize the resources and tools on coupons sites to save time.